Are you in the market for NFC headphones, but with the comprehensive array of choice you aren’t sure which ones to invest in? NFC (Near Field Communication) is an amazing piece of technology that allows you to quickly establish a Bluetooth connection between two devices. We have dug in deep into the marketplace to figure out the best NFC headphones the marketplace has to offer. All options in this buyer’s guide have this feature and there is enough diversity to match all tastes. We have spread the headphones out across 3 price categories so you can easily find the ones that match your budget. A buying consideration section is included below to educate you on the important factors to keep an eye out for. The aspects we cover include durability, Bluetooth, audio quality, comfort, and brand. When each of these categories is examined you’ll have a much better chance of ending up with the right NFC headphones. Foldable design, solid audio quality, competitive pricing. Lengthy battery life, app for customization, ergonomic design. Long battery life, active noise cancelation, wide frequency range. You may have seen smartphones being used as a touch n’ go credit cards – this is NFC technology in practice. The technology allows two NFC compatible devices to instantly communicate over very short distance – 10cm max. 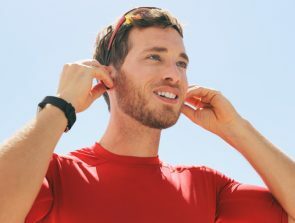 In relation to headphones this means a Bluetooth connection can be established with a smartphone by simply tapping the two together. Bluetooth pairing saves you time and its more convenient. Especially if you’re out in public and want to pair the two devices while walking. Bluetooth version: the product description should state the headphone Bluetooth version and anything at 4.0 and above is ideal. The version is important because it determines the range and overall connection quality. Battery life: you cannot listen to wireless headphones indefinitely because they need to be charged once the battery runs out. A lengthy battery life improves the practicality of the headphones because you can go longer without worrying about charging. Range: do you like to leave your smartphone in one location at home and walk about while listening to music? Then you’ll need headphones with an extended range. Aim for something that has at least 30 feet of range to give you the practically that’s required. Pay attention to the materials used to manufacture the headphones to determine the kind of durability you can expect. This is especially true of headphones upwards of $100, because at this price you should expect a design that will stand the test of time. However, there will always be unforeseen weak points that you’ll have no chance of figuring out until you’ve used the headphones for a lengthy period of time. To overcome this problem take the time to delve deeper into the details of the warranty information. You can figure out how much faith the manufacturer has in their headphones from the number of damage types covered. Brand: the type of audio you can expect somewhat depends on the brand behind the headphones. For example, industry leading brands like Sennheiser and Bose consistently over-deliver when it comes to audio quality. They also tend to have signature audio sounds such as a very wide frequency range or strong bass. Frequency range: the human ear can hear in the range of 20-20KHz, so try to find headphones that have at least this range. A wider range is beneficial as it can lead to a great bass experience. Noise isolation: headphones with an on-ear design tend to have passive noise isolation that drastically reduces ambient noise. This is particularly helpful in situations when traveling and there is a lot of noise around you. To eliminate incoming ambient noise you need to look for headphones with active noise cancelation such as the Bose QuietComfort 35 II. ANC is an upgrade over noise isolation, but it does consume battery life. Before buying NFC headphones make sure you’re clued up on the brand behind the product. You need to get a sense of the reliability, overall reputation, and customer service. Some brands might have a signature feature that brings something the rest of the marketplace doesn’t. This might be a particular type of padding in the earcups or the use of premium materials. You’ll notice in this buyer’s guide there is a mixture of popular and unpopular brands. You shouldn’t buy based on brand alone as newcomers to the marketplace try to compete by over delivering in a given price bracket. Therefore, take a look at the features and try to judge the headphones based on the expected performance and not just the brand name behind it. Headband: the headband must have soft padding on the underside to provide a fit that’s pleasant to wear. Furthermore, the headband must be adjustable so that different head sizes can get a comfortable fit. Ear cups: bulky ear cups can be cumbersome to wear while outdoors, but they do contribute to comfortable fit. There are a few headphones on this list, such as the Bose QuietComfort 35 II, that strikes the sweet spot between bulk and comfort. Weight: heavy headphones can also be cumbersome to wear – especially if you want to use them while travelling. Therefore, pay attention to the weight and they have been added to each fact box under the product descriptions. Are you looking for the most affordable NFC headphones that don’t sacrifice the important features? The budget end of the headphones marketplace is making big strides by adding the features that are typically found in significantly higher price brackets. 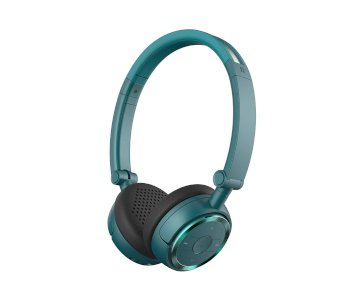 In this category you’ll find headphones that provide great audio, a comfortable design, a choice of colors, Bluetooth 4.1, and ergonomically placed controls to answer calls. Take note of the features here as they add a lot of value to the purchase. The Edifier W675BT has a minimalist design, which means it’s ideal for outdoors. On-ear earcups are implemented that drastically reduce the bulkiness of the design and they are comfortable to wear. You get a wide choice of colors, which includes blue, grey, red, white, black, orange, pink, and purple. The freedom of choice is a nice touch that allows you to customize the look. The on-ear controls are a practical way to alter the volume, skip tracks, and answer calls. Therefore, you can be on the go while traveling and have fast functionality that prevents the need to constantly take the smartphone out of your pocket. Bluetooth 4.1 is implemented that allows you to connect to two devices at the same time and the transmissions cover a range of 30 feet. The 380MAH lithium polymer battery allows for 20 hours of playing time and 300 hours of standby time. This is competitive at the price point that does a great job of being reliable after a few years of use. You can also make use of the 3.5mm audio jack for a wired connection when you don’t want to drain the battery. Large 40mm audio drivers are implemented that have strong bass, which is perfect for music genres such as hip-hop, electronic, and EDM. However, the on-ear design has no noise isolation, which means in noisy environments you may experience a lack of audio clarity. To summarize, the Edifier W675BT is a competitive option that will not put a big dent in your wallet. You’ll enjoy the reliability of the Bluetooth 4.1 connectivity, a low weight design, and choice of colors. It’s one of the best low price NFC headphones in the marketplace. 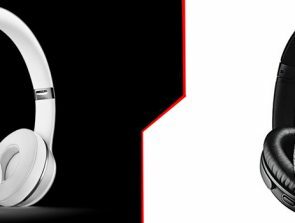 The August EP640 comes in 3 different colors, which are elegant white, black, and red. Visually the design looks like it’s lacking premium materials, but you can expect years of durability. You’re getting a solid performer at around the $40 price point that’s highly rated in the marketplace. You’ll love the combination of the practical features and ergonomic design that provides comfort for many hours. Bluetooth 4.1 has been implemented that allows the NFC pairing feature to be used. 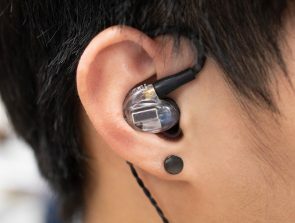 This version of Bluetooth means you’ll get decent connectivity range and the audio will remain stable with the minimal amount of hiccups. The internal Li Ion battery provides 10 hours of playing time, which is smaller than most other options in this buyers guide. The 40mm audio drivers provide clear mid tones, precise treble, and excellent bass. AptX low latency certification has been granted here because you can expect 40ms latency. This means you’ll hardly notice any lag when using these headphones with a monitor. Before going ahead with the purchase you need to be aware of potential deal breakers. Firstly, the headband could have a bit more flex and padding. Also the audio quality is not competitive with the higher priced NFC headphones on this list. However, if your standards are steep, then you’ll love these budget headphones. To conclude, the August EP640 is a solid offering for NFC headphone buyers that need durability, a low price, 40mm audio drivers, and reliable wireless connectivity. The array of features you’re getting at the small price means it’s good value for money. The Alpatronix HX110 has a visual aesthetic design that can be described as robotic and unique. The design has a lack of curves as straight lines are favored when it comes to the headband and earcups. You’ll have a unique look while out and about, but the design isn’t for everyone as the on-ear earcups don’t provide much noise isolation. 20 hours of playback time can be achieved that come with over 400 hours of standby time. This is competitive when you consider the relativity low price. The Bluetooth 4.0 connection is a stable version that provides reliable connectivity for long periods of time. NFC pairing allows for quick connections and aptX technology that drastically reduces the lag. On-ear controls allow you to alter the audio experience by changing the volume, skipping tracks, and answering calls. The lightweight design is ideal for traveling and general outdoor use. It’s a foldable design, which means you can conveniently put them away in your bag. The earcups have some soft padding, but don’t expect them to be as comfortable as the over-ear headphones. Furthermore, there is some headband padding and the adjustability is good enough to provide a secure fit. To conclude, the Alpatronix HX110 headphones have a bunch of positive points such as reliable Bluetooth connectivity, hands-free communication, and a lengthy battery time. There are a few minor niggles such as a distinctive visual design and lack of premium materials. However, if this isn’t a problem for you then there is a lot of upside to these NFC headphones. The NFC headphones in this price category can be argued as the sweet spot for getting the best quality at a competitive price. You’ll appreciate the improvement in audio quality for the cheaper category and there is an added level of comfort. Some of the best audio brands in the world offer headphones in this price bracket such as Sony and Sennheiser. Before making a buying decision you must take a close look at the list of features for each option to determine the one that best matches your requirements. In each case the quality of the wireless connection is reliable and you can buy in confidence knowing that the audio transmission will be without hiccups. Sony is well-known for delivering a great audio experience regardless of what price range of the marketplace they are targeting. 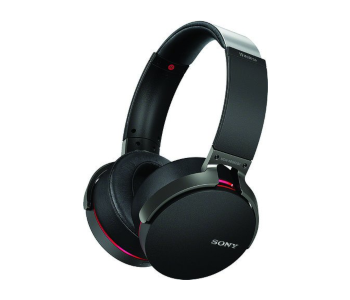 The Sony XB950B1 comes in 3 color options, which includes black, blue, and red. The overall design looks stylish and suitable for use outdoors due to the minimalist design. The Bluetooth connection allows for 18 hours of playing time and the NFC pairing feature can be used to quickly establish connections. The combination of the 280g weight and Bluetooth connection means you’ll love using these while out and about with your smartphone. These Sony headphones come with an extra bass feature that greatly improves the quality of the lower frequencies. Bass enthusiasts will appreciate this feature when enjoying music genres such as hip-hop, rock, rap, and dance. A microphone is added that can be used to take calls without having to reach for your smartphone. The clarity of the mic is good enough to have clear conversations without the need to constantly repeat what you’re saying. Furthermore, the earcup controls can be used to answer calls, adjust the volume, and skip tracks. The 40mm audio drivers are engineered to deliver a solid performance that’s competitive at this price range. Additionally, an app can be used to customize your audio experience. Playing around with the settings allows you to achieve a preset for each genre of music that improves the overall experience. A downside of the Sony XB950B1 headphones includes the lack of waterproof protection. You’ll need to be protective of the headphones in moisture heavy environment and even during periods of light rain. To summarize, the Sony XB950B1 offers plenty of practical features that adds a lot to the personal audio experience. The combination of an 18 hour battery, NFC pairing, low weight, and extra bass means you’re getting a lot for your money. 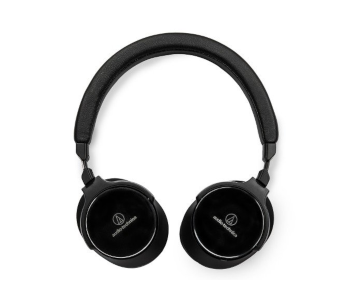 These Audio-Technica headphones have a number of well-implemented features that makes it a competitive option. Visually they have a rather simple looking design and there is a choice of 3 colors, which are black, white, and navy/brown. The frequency range is an impressive 5–40,000 Hz and the clarity across the range is outstanding. 45mm audio drivers are included that deliver a great audio experience regardless of what music genre you’re listening to. The sensitivity rating is 100 decibels, but be careful about enjoying audio at the upper portion of this volume level because it may damage your ears. The wireless connection lasts for 38 hours per full charge and you can achieve up to 1,000 hours of standby time – these figures are very competitive. However, you can also use the headphones in wired mode to save battery life. The ergonomic design of these Audio-Technica headphones means you can wear them for hours without needing to take a break. The earcups have plenty of soft padding and the headband is adjustable. The fit is secure, which means you can move your head from side to side without the headphones coming loose. You should also take into account a few of the drawbacks before making the decision to buy. The upper mids can be hard and the vocals at times are cold. However, you’re only going to notice this if you’re very picky about your audio experience. To conclude, the Audio-Technica ATH-SR5BTBK headphones provide a nice combination of audio quality, comfort, practical features, and NFC pairing. They are perfect for buyers that want exceptional audio without having to pay a premium price. The Sennheiser HD 4.40 comes with large oval earcups that the Sennheiser brand is known for. 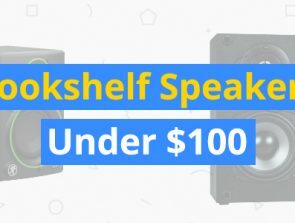 At under $100 you’re getting a comprehensive personal audio solution that offers something competitive. You’ll enjoy the combination of exceptional audio, comfort, and wireless practicality. 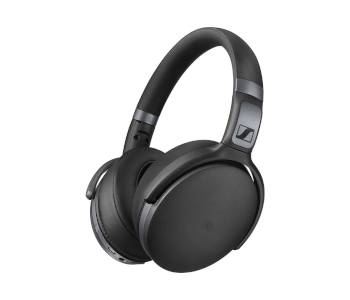 The Sennheiser signature sound remains of high quality as it’s transmitted via the Bluetooth 4.40 connection. You’ll appreciate the satisfying dynamic bass and well-balanced sound across the frequency range. The battery life is a solid 25 hours and a cable is included if you want to listen without draining the battery life. 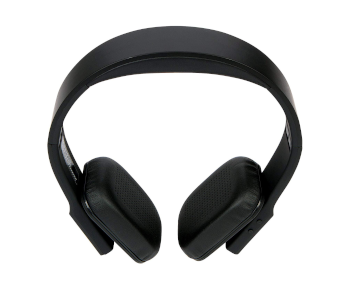 Soft leatherette covered ear pads provide excellent comfort during the listening experience. You’ll feel as if you can listen to the audio for hours without being bothered by the fit. The overall design has a nice mix of comfort without being too bulky. However, it’s bulkier than most headphones on this list, which might be a deal breaker for some buyers. The earcups have intuitive controls that allow you to adjust the volume, change tracks, and answer incoming calls. Making use of the integrated microphone is simple and effective. You’ll be able to take calls while out and about. However the lack of headband padding means the design is not the best from a comfort standpoint. Furthermore, the design could have a bit more visual aesthetics to make a fashion statement. To summarize, you’ll love the Sennheiser HD 4.40 if you’re after large earcups, great audio, and competitive pricing. The blend of features combines well to provide a personal audio experience that’s suitable while outdoors with your smartphone. The Avantree 40hr Wireless is designed for use when sitting in front of the TV or monitor watching movies and your favorite shows. There are a number of practical features that add a lot of value to the package. Read on to see if the combination of long battery life and low latency gives you the freedom to enjoy audio the way you like it. 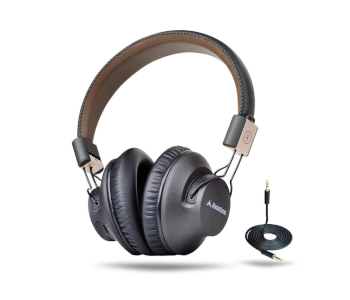 A 3.5mm audio jack and cable is included, but the big selling point with these Avantree headphones is the execution of the wireless connectivity. As the name suggests you’re getting 40 hours of battery life, which is very competitive. You can watch a few movies per day and still have enough battery life to last you the entire week. Additionally, the aptX low latency technology means there is no noticeable lag between the time the audio is created within the TV and the time it takes for you to hear it. Therefore, when people are talking on-screen you won’t notice a lack of lip-sync. 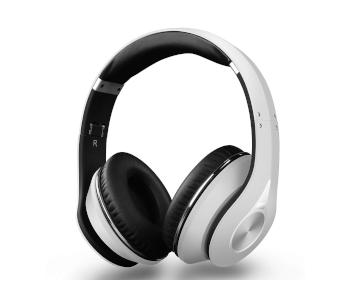 The headphones have a light design that has large circular earcups and a relatively thin headband. By looking at the headphones it easy to see that they aren’t practical for outdoor use, but they are ideal when sitting down for multiple hours at a time. Hi-Fi sound is added that brings out the small details and there is a solid amount of bass to immerse you in action packed scenes. The rich lows and clear treble are surprisingly good when you consider the affordable price. Before pulling the trigger on a purchase take a few moments to consider some potential setbacks with the Avantree 40hr Wireless. The earcups might not be big enough for individuals with big ears, which means the earcups may press down on the tips of the ears. You need to invest in a Bluetooth adapter to achieve the best performance. Overall, the Avantree 40hr Wireless offers a great personal audio solution for buyers interested in viewing the TV and PC. The mix of the long battery life, NFC pairing, comfortable fit, and Hi-Fi sound means you’re getting a good deal. Do you have a big budget and want the very best that the NFC headphones marketplace has to offer? Then consider the industry leading offerings here that will impress even the audiophiles among you. A combination of accurate audio, long lasting comfort, and visual aesthetics means you can invest knowing you’re getting a lot in return. However, at this high price range the scrutiny must be higher, so take the time to consider the list of features for each headphone. You’ll find that there is a lot to like here and you’ll have a hard time trying to pick between these great NFC headphones. Sennheiser has some of the best headphones the marketplace has to offer, but they are typically charging more than the competition. 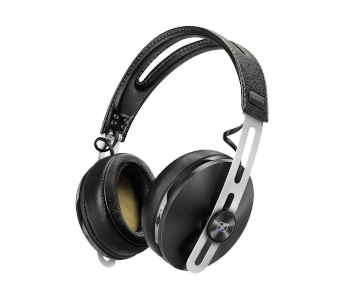 The Sennheiser Momentum 2.0 is a solid offering that comes with an audiophile grade audio quality and a premium feel. However, go through the features in more detail to figure out if the headphones match your requirements. The Bluetooth connection lasts for 22 hours per charge, which is a competitive amount. The wireless connection can be achieved via NFC paring by simply touching two NFC enabled devices together. Bluetooth 4.0 has been implemented that provides a decent connection range and reliable audio quality. You can also connect the two devices at the same time such as a computer and smartphone. In this scenario you could listen to music via the computer and be able to take incoming calls via the smartphone. Premium materials are used that feel pleasant in-hand and you can rely on them to stand the test of time. A sturdy stainless steel headband is implemented that provides a secure fit. Also, the ear cushions are soft and pleasant to wear for many hours at a time. The frequency range is an impressive 16Hz – 22kHz and the maximum decibel level is at 113dB. However, don’t use the maximum decibel level too often as it will damage your ears. A 1.4m cable is included that allows you to switch to wired connectivity if the battery life runs out. To summarize, the Sennheiser Momentum 2.0 offers great wireless performance and audio that most of brands are jealous of. You’ll love the premium materials and comfortable fit that allows you to enjoy music for hours. We reviewed the Bose QuietComfort 35 II in the “Travel Headphones “ guide where we selected it as the top pick, and feel it’s one of the best NFC headphones in the marketplace. The exceptional execution of highly desirable features means there is a lot to like here. However, the price is rather steep, which means you need to decide if the asking price is worth the array of features you’re getting in return. You’ll achieve 20 hours of listening time in wireless mode and 40 hours in wired mode. A range of 30 feet can be achieved and the connection quality is stable. The hassle-free NFC Bluetooth pairing mechanism allows you to simply tap the headphones with your audio emitting device. Bose is notorious for exceptional audio quality and the Bose QuietComfort 35 II solidifies this notion. The attention to detail across the frequency range is impressive and allows you to be fully immersed in the music. Clarity is enhanced due to the industry leading active noise cancelation that comes in 3 levels. Therefore, you can select the settings that best matches the environment – for example, if you’re at a train station you may want to decrease the ANC to have a better sense of what’s going on around you. Take the time to consider a few of the drawbacks before proceeding with the purchase. Firstly, the overall design of the headphones is similar to previous versions. So if you’re looking for a new design you’ll be disappointed with this version. Additionally, the battery is not replaceable, which means you’re stuck when it begins to degrade. 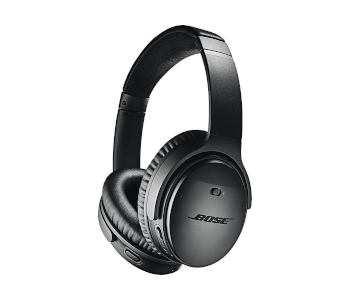 To summarize, the Bose QuietComfort 35 II is one of the best NFC headphones that you can buy. The mixture of the industry leading ANC, superb audio quality, practical design, and reputable brand name means you’re getting a lot of the big investment. Sony is known for manufacturing headphones across the price range – everything from budget all the way to premium offering. 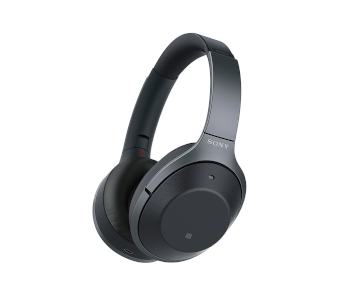 The Sony WH-1000XM2 is a premium option that comes with a number of well-implemented features, which includes NFC. Using the headphones you can quickly connect to your audio emitting device. You can enjoy 30 hours of battery life and there is a quick charge feature that provides 70 minutes of playing time for only 10 minutes of charging time. However, keep in mind that over time the maximum playing time slowly reduces as the battery gets older. A voice assistant can be used to control the audio experience – you simply need to touch the right earcup. Voice assistants are constantly getting better and over time they will be the best way to interact with your electronics. The Hi-Res audio is breathtaking as the clarity is captivating and there is a minimal amount of harmonic distortion. You can also make use of an extra bass feature to get a boost in the audio experience. Sony WH-1000XM2 has a battery setup that isn’t replaceable, which could be a problem down the line when the battery has degraded. It’s also on the pricey side so make sure you’ll actually take advantage of the features offered. To summarize, the Sony WH-1000XM2 is one of the better NFC headphones available. The combination of noise cancelation, comfort, Hi-Res audio, and 30 hours battery life means you’re getting a lot for the asking price.